What's in a wearable for me? With the recent announcement from Apple about the Apple Watch, I figure now is a good time to share some thoughts on what I've found useful in the wearables and other self tracking devices I've tried over recent years. My first wearable was a Fitbit Ultra (later replaced with a Fitbit One when the Ultra sadly snapped in two), which is basically a smart pedometer that clips onto your trouser pocket and keeps track of your activity through the day. Starting with the number of steps you make, it can also track how many flights of stairs you climb, deduce how many calories you're burning and how much of the recommended 30 minutes of moderate activity you're doing each day. I got my first Fitbit (of two so far) back at the start of 2012 when I was starting to take more notice of the weight I'd been putting on, and was about to spend three months commuting for about four hours each day. Knowing that I wouldn't have a lot of time to do any extra exercise (I wasn't really doing any at the time anyway), I wanted to try and make sure that the time I did have available could be put to use trying to get to the recommended 10,000 steps and 30 minutes of activity every day. The Fitbit and its associated website and mobile app helped me track my activity and also calorie intake and sleep patterns. I didn't actually stick with the sleep tracking for very long, and added in the MyFitnessPal app after a while as well, as it has a better database and feeds the information back to Fitbit. The calorie tracking helped me make better choices to improve my diet through the day, adding in more fruit and salads, cutting out some beer, and generally trying to reduce what I was eating to less than the Fitbit told me I was burning during the day. I soon started to see the benefits, losing around 10kg (22lb) in the first year. I set my first goal at a 5kg loss, but quickly doubled that goal when I hit it with what felt like relative ease. I've kept all of that weight off for another 18 months or so as well, give or take a kilo. Wanting to know how much of an effect the Fitbit was having on my weight, I connected up my old Wii Fit board via Bluetooth to my Mac to take weight readings on a regular basis. 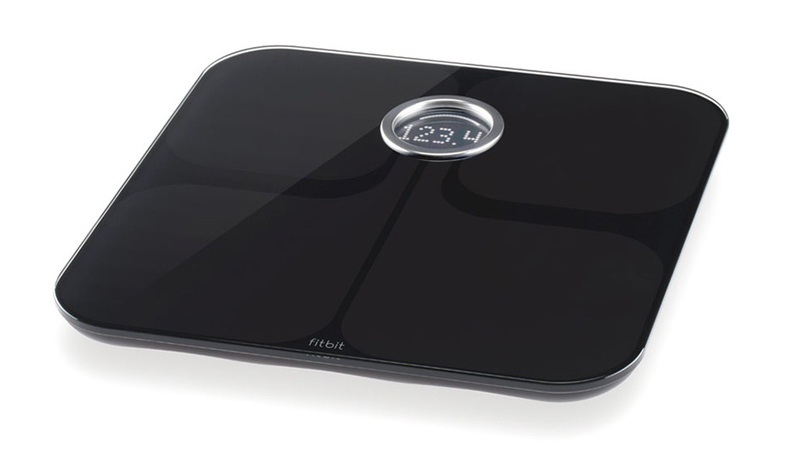 It was a bit unreliable, and a fiddly process, so when I heard about the Fitbit Aria scales - which can also tell you your body fat percentage - I decided I had to try them out. I've been weighing myself almost every morning since then, which is an excellent reminder in the morning of how bad any overindulgence was the day before, and encouragement to do better that day. Fitbit helped introduce me to healthier habits, and still keeps me in check day to day. It got me to a point where I actively want to do more exercise. Thanks Fitbit! With the Olympics on the horizon in 2012, some friends and I started playing badminton most weeks, with the aim of keeping fit and having a bit of fun. In one of the earlier games, I noticed my heart speeding up to an unnatural pace after a bit of a strenuous shot. It wasn't the first time it'd happened, and it calmed itself down to normal again within a minute or so. I should note I've asked doctors about it at various points, and they don't seem concerned. The event got me more curious about my heart though, and I started checking my heart rate every now and then using the Instant Heart Rate app which measures your heart rate using just the flash and camera on your phone. As well as telling you your heart rate in beats per minute, it also visualises it in a graph so you can see what your heart beat looks like. When a friend convinced me (finally!) to give running a try in May 2013, I wanted to keep a closer eye on my heart rate so I got myself a Polar H7 heart rate sensor. The H7 comes in the form of a chest strap which sends readings to your phone by Bluetooth, so you need to keep that with you while you're running. Having to keep the phone on me didn't really cause any issues as I wanted to map my runs with the RunKeeper app anyway. The Polar products, and chest straps in general, are what athletes use in their training, but I have to admit I didn't find the chest strap particularly comfortable to run with. By September I decided to try the Mio Alpha instead. The Alpha straps onto your wrist and can be used as a watch when you're not tracking your heart rate. When it is tracking heart rate it works optically, much like the heart rate app, and sends the data to your phone by Bluetooth. It can be used as a direct replacement for a chest strap, and seems to do as good a job as the H7 did, but without the discomfort of the strap. The watch itself needs to be strapped on quite tightly, but you can loosen if off after your run. The battery on the Alpha lasts for quite some time when just using the Alpha as a watch, but it can only track your heart rate for up to about 8 hours before it needs recharging. That's not too much of an issue if you're just using it to keep an eye on your more strenuous activities. I take the Alpha out with me on each run, sending the data to RunKeeper so it's stored alongside the map of my run and timing information. The display on the watch itself helps give me information about my heart rate at a glance, so I can see if I'm pushing myself too hard and take a short break if needed. Curious about what other information I could get out of a watch, I tried out the Basis Watch. The Basis combines some of the functions of the Fitbit and Mio Alpha, tracking your daily steps and your heart rate, but also adds sensors to track your body temperature and perspiration levels. Having more sensors allows the Basis to track sleep better than the Fitbit, as it can distinguish between different types of sleep beyond just tracking movement. The Basis website gives you goals to aim for each day, like doing more steps, doing more energetic exercise, getting up and going to bed at standard times, and that sort of thing. They also give you graphs showing the various tracker stats over the course of a day and week. You can really pick out the times when you've had a lazy Sunday at home, or a heavy night out on the Friday. The thing that hit me the most about looking at these graphs was seeing a visual representation of a hangover - increased heart rate, temperature and sweating - and the amount of time it really takes to cool down after a run. The data from the Basis is interesting, and I like to think the data from it may be useful at some point, but the summarised information from it hasn't helped me make improvements beyond what the Fitbit already gives me. On top of that, the data isn't available to MyFitnessPal, as the Fitbit and RunKeeper data is. It's also a bit clunky when it comes to syncing the watch, which it doesn't do automatically. You either need to sync it over the air with your phone each day - a process which can take a few minutes sometimes, and often fails - or by connecting it to your computer with the charging cable, which you have to do every 3 days or so anyway. The cable is neat in that you can clip it on while you're at your computer, but it's not a standard USB cable, so the likelihood is you won't always have it with you when you need it. 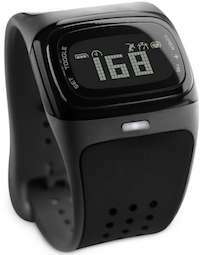 A major downside to the Basis is that the heart rate monitor doesn't work once you start moving your wrist, so you're out of luck if you want to use it to monitor your heart rate while you're running. The other sensors seem to keep on working ok as they're still in close enough contact with your wrist most of the time. Two and a half years on, I think the Fitbit has survived well, but many of its functions have been replicated within modern smartphones. The simplicity and lack of interaction needed with the Fitbit has to be one of its strongest points though, so for an app on a phone to take over, it has to be able to help you improve without making you have to think about it too much. I won't be giving up my Fitbit until I have a phone with a barometer in it to track the flights of steps I climb during the day, and I'm not planning to upgrade to the iPhone 6 yet. I'll be interested to see if the heart rate monitor on the Apple Watch will match the accuracy of the Mio Alpha while running, and keep monitoring continuously like the Basis, without being too much of a drain on the battery. Whenever I go out for a run, it'd be nice not to have to have my Fitbit clipped on to track my steps, my Mio Alpha strapped onto one wrist to track my heart rate, my Basis on the other to track my perspiration and temperature, and my iPhone in my pocket to keep track of my heart rate and monitor my route with its own GPS. For me the Apple Watch isn't going to combine enough of the features of my existing wearables to make me want to go out and buy it, but perhaps future versions of it will come closer. I haven't posted a lot over the past year about what I've been working on, but I've spent a lot of time building a web application that tracks ships around the world using positions relayed by satellite. I'll post more on the project soon, but for now I just want to share one of the ways that we're improving the usefulness of the maps as part of this project. At their heart, the maps in the application are based on OpenStreetMap data and satellite imagery from MapBox, but when your clients are mostly looking at their vessels in seas and oceans around the world, traditional web mapping data doesn't really give enough context. Marine charts can fill in those big blue gaps and aid with using the map. Map data © OpenStreetMap & MapBox, Marine charts © Crown Copyright, 2013. All Rights reserved. Licence no. EMS-EK001. Not to be used for navigation. MarineFIND - with whom I've been working with to deliver this project - provide marine charts in various formats, including as a tile map service or web map service for clients who are looking to add charts to their own applications. The charts are made available either individually in their original form, or joined together to form an almost seamless detailed chart of the world. The combined chart layer cuts the landmass out, leaving them transparent, allowing the layer to be used on top of satellite imagery or other maps. 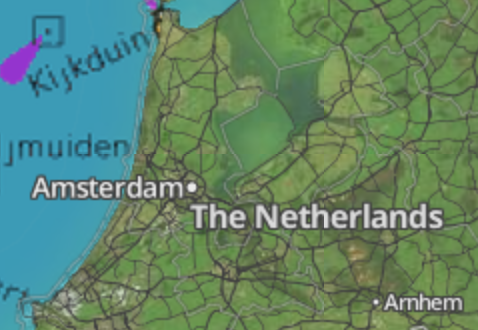 Combining two raster datasets - the merged charts and the OpenStreetMap maps - into a single map causes some issues when it comes to labelling. 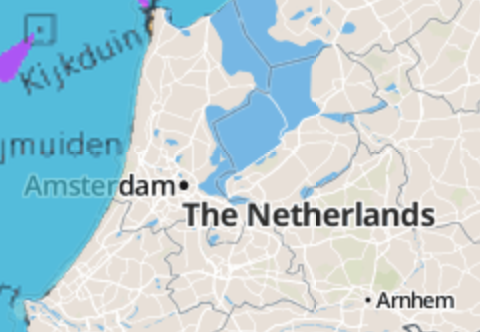 Especially around coastal areas, labels from OpenStreetMap may be obscured when overlaying the marine charts. This can be overcome to some extent by showing the charts as semi-opaque (see left), but for the satellite data we found another way of doing it (see right). Starting with an unlabelled satellite imagery layer from MapBox (which can be coloured to your liking), we then add the marine charts, and finally a separate MapBox Streets layer showing just line data and labels, meaning that any overlapping labels will be shown on top of the charts as expected. If you want to find out more about using charts for your own applications, please feel free to get in touch, or contact MarineFIND for information about licensing. If you follow me on Instagram (@dan_karran) you may have seen me post a month or so ago about the Nomad ChargeKey that I was given to try out. The ChargeKey is a little USB key that you can clip on to your keyring to use as an iPhone charger when you don't have your Apple-specific Lightning USB charging cable with you. There'a also an Android Micro USB equivalent. You still need a USB socket to plug the ChargeKey into, of course, but if you have one of those to hand then you can easily charge your phone back up to capacity. A month down the road and I've used it occasionally, usually while sitting at my desk at work or when I've been at friends' places. It's been convenient to have the Nomad ChargeKey around, and I'd recommend it, but as someone who likes to take lots of photos with my iPhone and track my walks and runs with battery-intensive apps, I think the more important thing for me will be an external battery that I can keep in my bag to recharge whenever necessary, when I'm away from the computer. 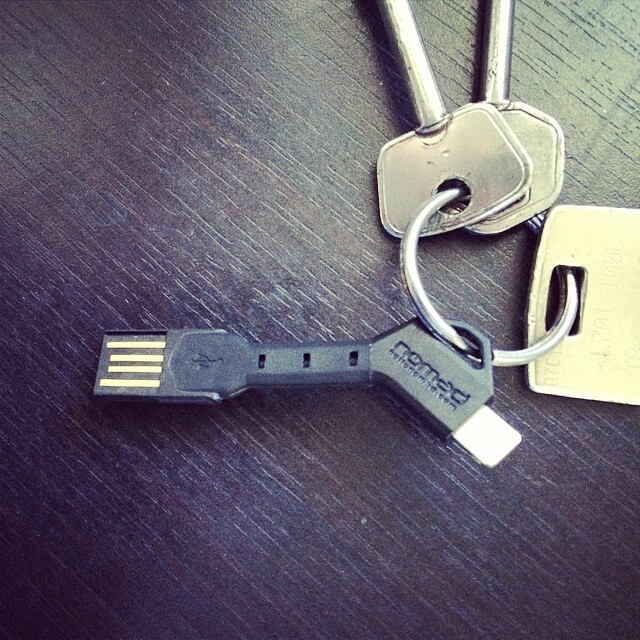 The ChargeKey is available on Amazon in two flavours, one for Android and one for iPhone at a price of £16. Nomad also make creditcard shaped chargers, known as the ChargeCard, but my wallet is already stuffed to bursting point with old receipts and loyalty cards, so I didn't try that one out.